A WordPress site created with Custom Post Types and a customized theme. This was a complete “makeover” of a previous site with no Content Management System. 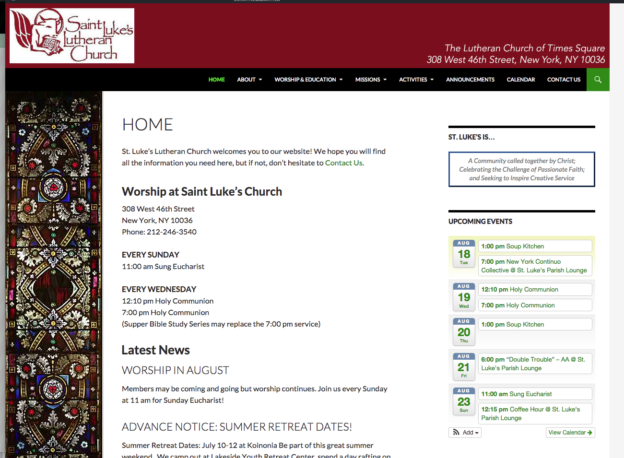 With the new site, the church administrators and clergy are empowered to easily add and update content at any time.